Never mind, that I was a selling-machine with an uncanny ability to connect with all types of clients and outperform every metric.... Not to brag or anything, by my lonesome, I out-produced entire regions. Imagine if I had the support of my direct leader... Wow, how much money did we leave on the table as a company because the resources and support were not available and accessible to me? This is not about racism or discrimination- this is about Missed Opportunity! I was the bridge, the connector to one of the biggest segments in the United States: The Hispanic Market. As of today, there are 57 million Latinos in the US, and they are as complicated as me. Complex, but simple; loud yet highly deferential; mostly fluent, yet sometimes Spanish- dominant. The US- Latinos are waaaaay over there, in another world, not quite behind the wall (ridiculous concept, by the way!) but far removed from your day-to day world. The best (best in terms of options, price, education and service) cars, insurances, bank accounts, cell phones are over here, in the Mainstream World.... Very faaaaar away from the unacculturated Latino. And then there's chasm... A Gap. Where the mainstream is HERE and the Latinos are THERE. So, Im building a bridge. As an American, that is also a Latina, I straddle both worlds. Yes, I speak Spanish, dance merengue, eat plantains and play baseball. AND, I watch CNN, drive the kids around to lax, football and karate, root for the Ravens and love pizza. I am both a Latina and an American. I am a bi-cultural Dominican-American. And because I know both worlds, I strive to connect these two very disparate worlds so everyone benefits. As a sales person, wouldn't you shout from the rooftops if you discovered new prospects? Prospects with higher loyalty and engagement? Younger and with larger families? Avid users of social media, actively sharing their great experience with you? And speaking from the perspective of an unacculturated Latino- they are tired of the fraud, price gauging, misinformed sales pitches and horrible service. Latinos want the same thing you, in the Mainstream want: Great Product Selection, Excellent Service, Informative & Respectful Sales People and a Competitive Price.... But they don't often get that. My company resolves this fear, which is actually just trepidation of the unknown: How to handle the language barriers (By the way, 65% of Latinos speak English or are bilingual) and Low income misconceptions (25% earn more than 65K). 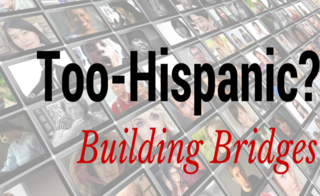 We debunk these myths and connect you to the Latino market. It is not easy, but very doable. And there's a sense of urgency- the brands and organizations that woo and connect with Latinos NOW will retain their loyalty, along with a larger share of wallet (translation: higher profits) for a much longer time. Amigos- don't be scared, or intimidated. Be excited and learn about the demographics, purchasing habits and decisions, learn where to find Latinos, what they are saying- You can start here, Engaging Hispanics Webinar , which is the tip of the iceberg, where I collaborated with Melinda Wittstock, a social intelligence guru with a niche in big data analytics to find and engage customers where they are, and Hispanics are all over social, mobile and video! 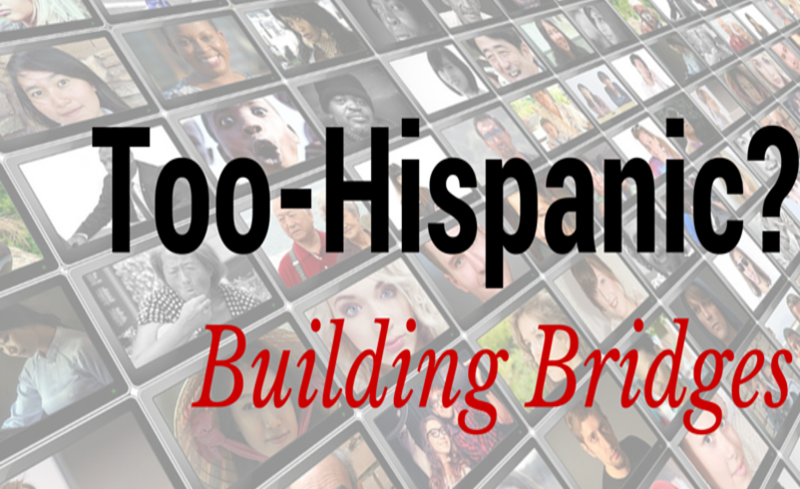 This webinar combines these two big priorities: Hispanic Strategy and Social Intelligence. Don't let the outer packaging prevent you from winning a new market. Don't be scared.